Grain lies at the far eastern end of the Hoo Peninsula. 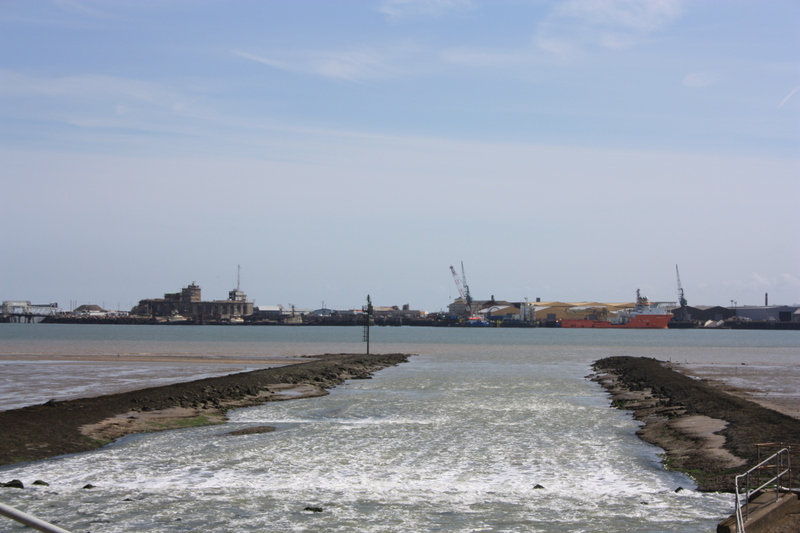 Although the Isle of Grain was once a true island, it has long since silted up and now forms part of the mainland. We had arrived at Grain at the end of our walk the day before, but had not continued south along the coast. Although this route south ends in a fence preventing further access beyond (the land is owned by National Grid), there is plenty to see on the way. This was a walk we were very much anticipating, and it did not disappoint. The first order of the day was to visit Grain Fort. Situated just south of the beach car park, the fort was constructed between 1861 and 1868. 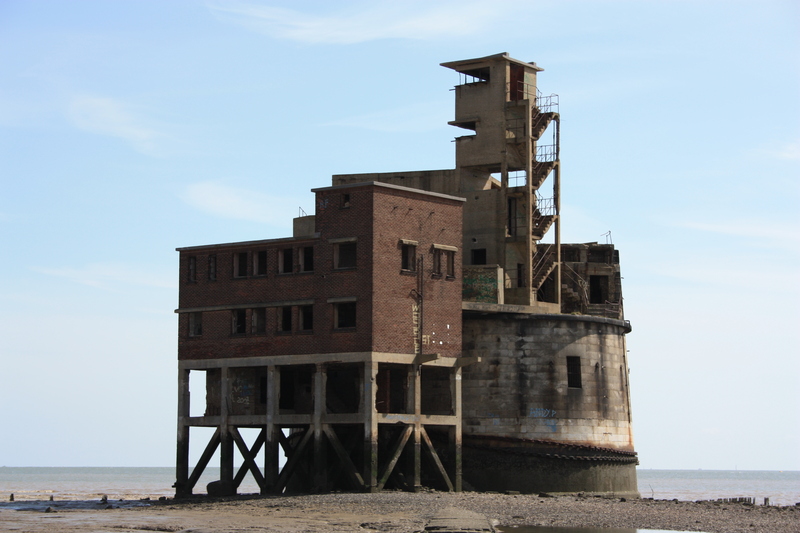 The Isle of Grain had long been considered a strategic position, as it guards the mouth of the River Medway, and in 1860 a Royal Commission called for a casemated fort (essentially a fortified gun emplacement). The fort started life as a semi-circular keep, surrounded by an earthwork. Between the keep and earthwork was a ditch, defended by five caponiers (fortified structures designed specifically for defending ditches). In front of the earthwork was a further ditch, defended by another four caponiers. The main magazine was in the keep, and underground tunnels connected everything to everything else. At the end of the 19th Century, the fort was modified in order to support an additional four guns, and further modifications followed through the years. 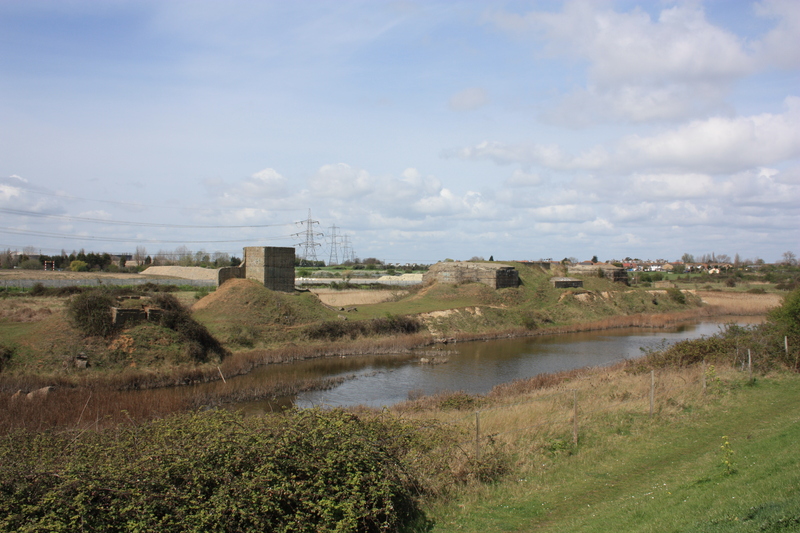 Grain Fort was in use throughout the First and Second World Wars, finally falling into disuse in 1956 when the UK’s coastal artillery was disbanded. 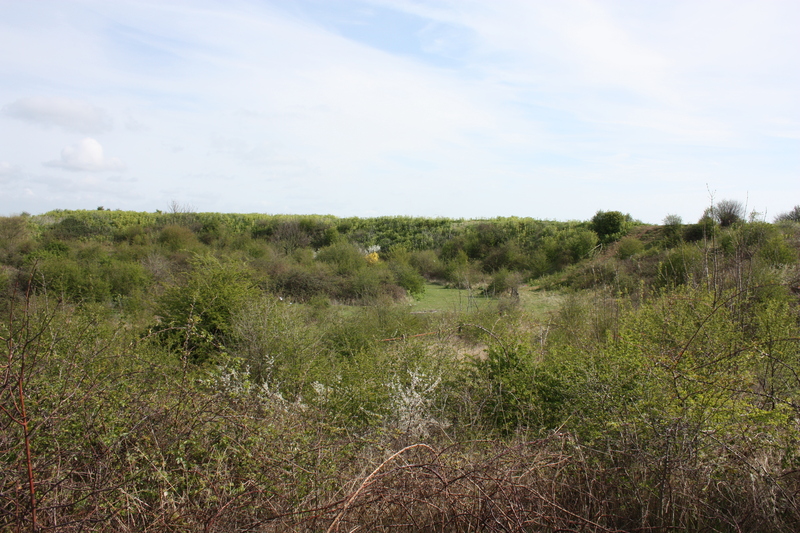 In the 1960’s all of the surface structures were demolished, and the site is now significantly overgrown. The ditches remain, but the only obvious evidence that a fort once stood here are the two retaining walls at either end of the earthwork, together with bits of concrete and asphalt forming the roof of what I assume are the tunnels. We wandered around the area for a little while, searching in vain. At one point we found what would probably have been a way in on top of the earthwork, but the hole had been filled in with a large slab of concrete and it did not lead into a caponier. This wasn’t the hole we were looking for. If we had a little more time to play with perhaps a more detailed search would have revealed our prize, but we wanted to get to Grain Tower. Thus, we left the fort and headed south. 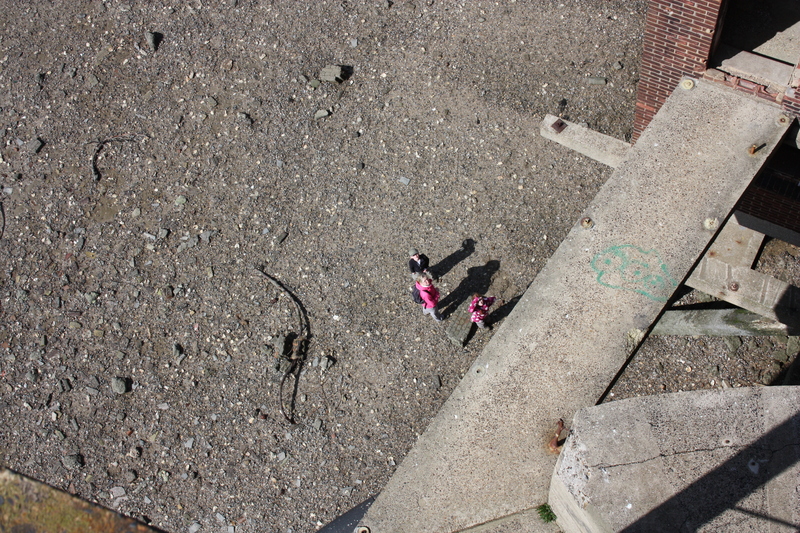 Whilst the adults walked on the promenade, the kids took to the beach. 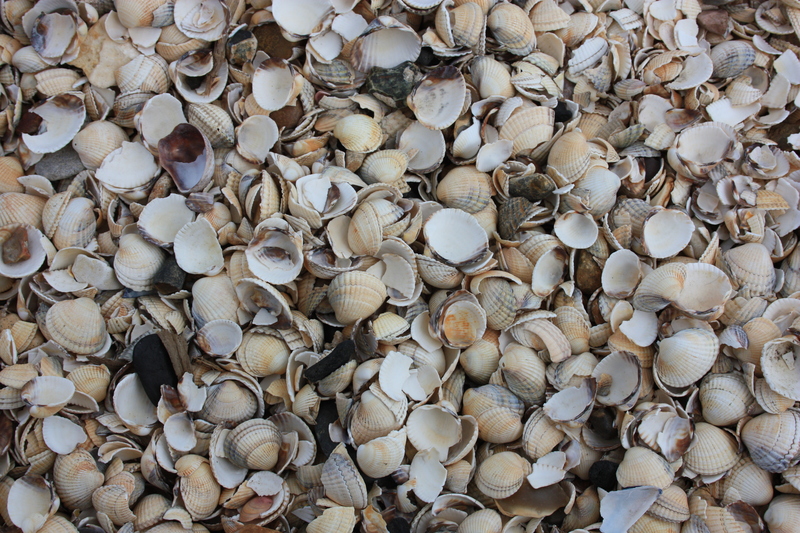 Although the beach is shingle in appearance, it is actually made up of thousands upon thousands of sea shells. Our attention, however, was directed elsewhere. Grain Tower, which stands out into the sea, came into view, and we hurried to the causeway leading to it. My Aunt, Jenny, who was with us, decided to take in some sun and sit on the sea wall. The rest of us ventured out onto the causeway and headed for a bit of adventure (as far as the kids and I were concerned) or for mud, boots full of water and annoyance (as far as my wife was concerned). 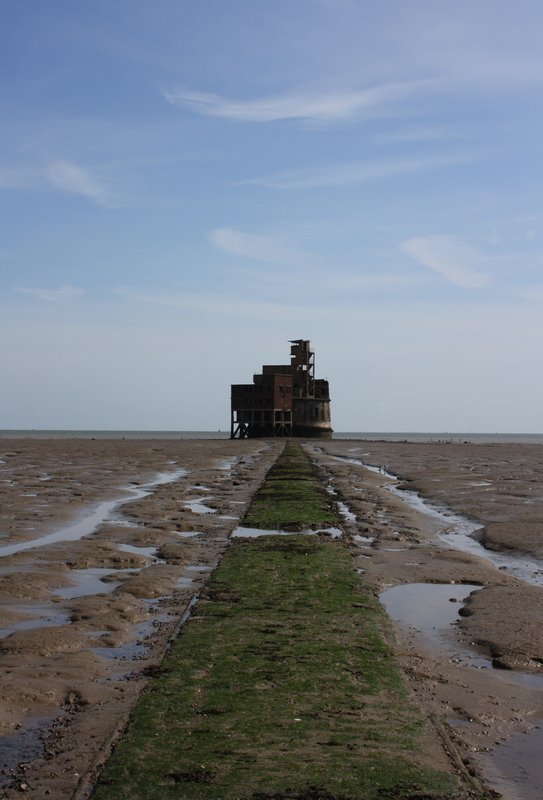 Grain Tower is a fascinating and appealing structure, not least because it stands a third of a mile out in the mudflats and can only be reached by foot at low tide. Access is via a narrow causeway. 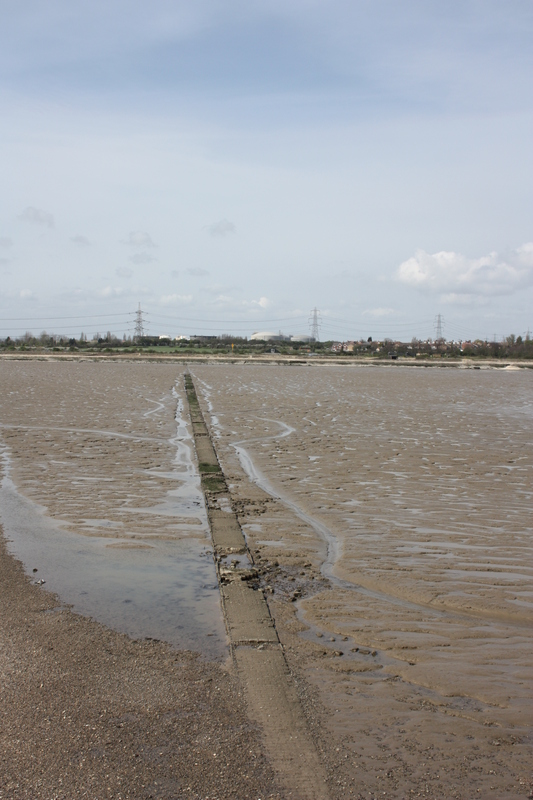 The sand to either side of this causeway is often deep enough to swallow a walking boot, and the causeway itself has sections missing which are thus filled with water, also deep enough to swallow a boot. Careful use of stepping stones and balancing on the timber edges allows one’s feet to remain dry. Grain Tower itself is principally circular in nature, and was based on the design of the circular Martello Towers which line various parts of the coastline, and the Kent coastline in particular. 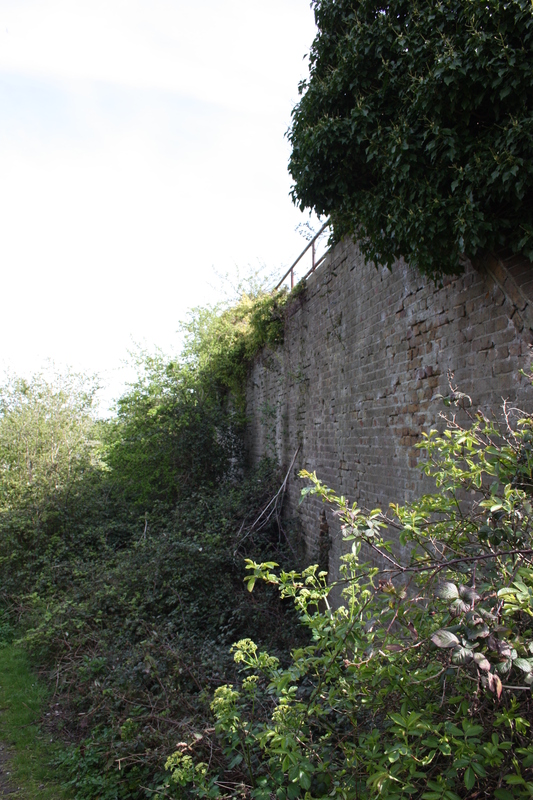 It was built in 1855 as part of a series of coastal defences against the threat of a French invasion. Various modifications were made well into the 20th Century, usually to cater for more modern artillery guns. In 1914 a boom was constructed across the river, and this boom was moored at one end to the tower. Although the boom no longer exists today, the enormous chains that held it fast to Grain Tower are still wrapped around the tower’s base. During the Second World War a barrack block was added, a square structure on stilts, from which access to the main tower is via a walkway. On top of the circular part of the tower is an external staircase, leading up to an observation point at the very top. The tower is a formidable place to visit, and not for the faint-hearted. However, it is a unique experience and it is worth consulting the tide tables to ensure that any trip to Grain is undertaken at low tide, so that the walk to the tower can be made. Our trip here was most certainly the highlight of the day. All too soon my wife reminded me that my aunt was patiently waiting for us back towards shore, so we left to join her and continue on our way. The coastal path continues south, and offers the option of either a concrete promenade running alongside the beach, or, next to it and up a slope, a walk along a grassy embankment. This latter route offers spectacular views of Grain Power Station. In my last post, when we saw it from the landward side, I described the power station as a “beautiful beast of a building”. The views we had from the seaward side only reinforced my opinion. Its chimney is 241 metres (801 feet) high; to qualify as a skyscraper in the UK a building has to be 150 metres high. Sat in front of the power station is a small ruin. This is the Grain Dummy Battery and was originally built as a supporting structure to Grain Fort, as a result of the same 1860 Royal Commission which called for the construction of the fort itself. However, Grain Battery suffered from subsidence from the outset. The magazine walls cracked, and so in 1869 the decision was made to finish it as a temporary structure only. The armoured shields which were to have been added were not, as the extra weight would only cause more cracking. This does not mean the battery was not used – it did in fact house two guns. It was not all that temporary, and was rebuilt by 1905, although there is no evidence that it was used in either of the two World Wars. In the 1950’s the battery was damaged when most of its earthworks were removed for sea wall construction, and today it stands in ruins. 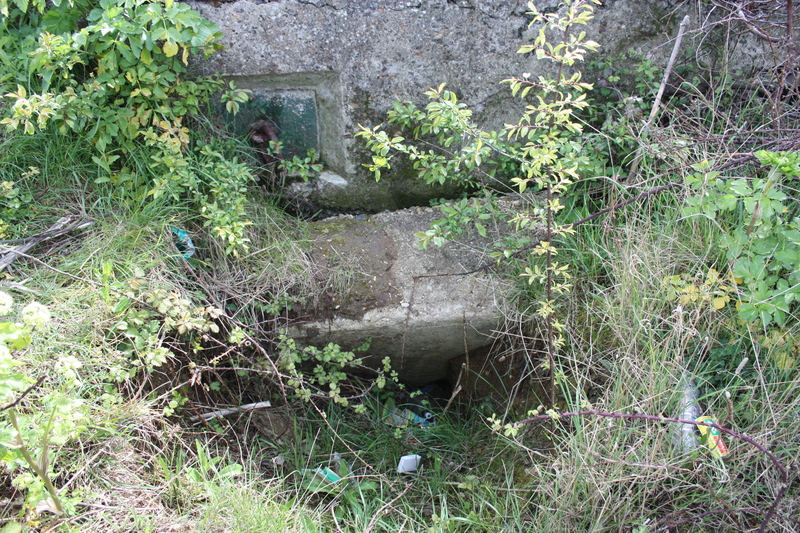 Just south of the Dummy Battery we found an outpouring of underground water, surrounded with palisade fencing. This was the cooling water outfall point, discharging cooling water from the power station. Affixed to the fences were signs prohibiting bathing, just in case anyone felt like bathing in waters discharged from a power station. We didn’t. Leaving this behind we followed the sea wall as it twisted west and then south again, reaching the final stages of out outward walk. Given that this is a one-way path, there were very few people around. We were able to see the Sheppey Crossing in the distance, teasing us; it will take a few weeks to cross the Medway and get round to Sheppey. 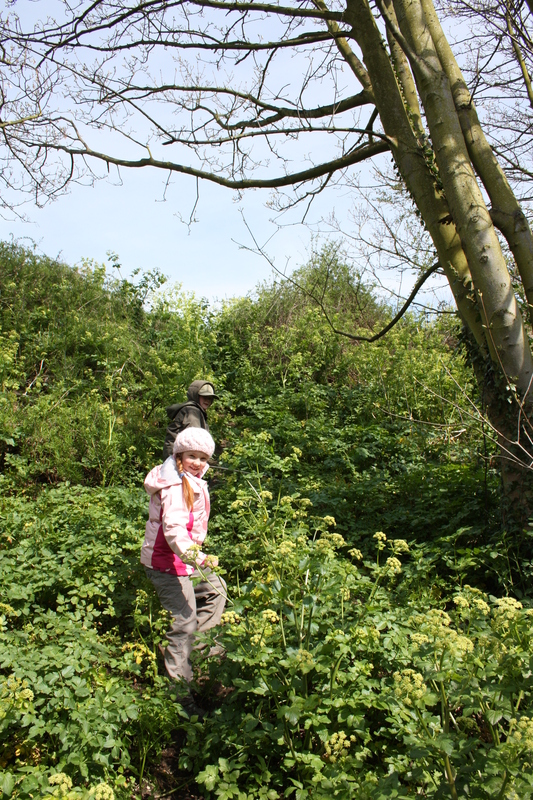 We continued, eventually reaching the end of the footpath. Here was a beach: “Sand!” yelled my son. We stopped for lunch, seeing not a soul, before turning back the way we came and heading back to the car. With good weather, interesting history and a bit of adventure I think this has to be my favourite walk to date. Grain may be a little out of the way, but if the sun is shining and the tide is low I would heartily recommend it. 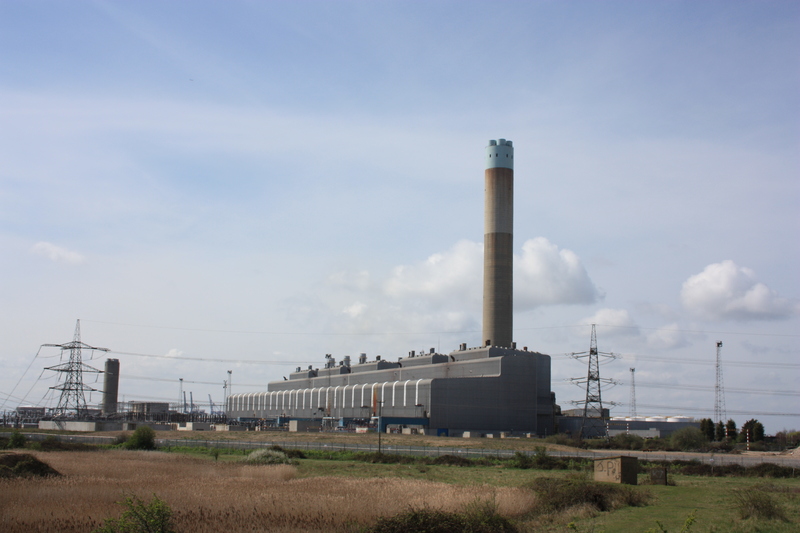 This entry was posted in Kent and tagged coast, Grain, Hoo Peninsula, Isle of Grain, Kent, travel, walking. Bookmark the permalink. ps – I think that the Boots magazine is out next month (the one with the article by the journalist you referred us to) so keep your eyes out for it! !